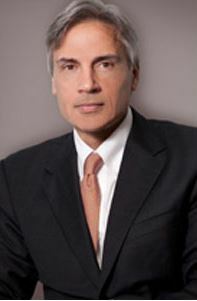 Dr. W. Scott McDonald is Certified by the American Board of Plastic Surgery. He is a graduate of the Louisiana State University School of Medicine. Dr. McDonald completed a full general surgery residency training program in General Surgery at Louisiana State University. During this training he entered a year of laboratory research at the Children’s Hospital of Los Angeles. He then completed his resident training in Plastic and Reconstructive Surgery at the Institute of Reconstructive Plastic Surgery at New York University. After his residency in Plastic Surgery Dr McDonald returned to the Children’s Hospital of Los Angeles for a year of specialty training in Craniofacial Surgery. Dr. McDonald has spent most of his career in academic medicine teaching Plastic and Reconstructive Surgery at Tulane University School of Medicine in New Orleans, Louisiana, and the University Of Miami School Of Medicine in Miami Florida. Dr McDonald has published clinical and laboratory in the most prestigious journals of Plastic Surgery including The Journal of Plastic and Reconstructive Surgery, The Annals of Plastic Surgery, and The Journal of Craniofacial Surgery. He has given scientific lectures on Aesthetic Surgery, Breast Reconstruction, Craniofacial Surgery and Wound Healing at major Plastic and Reconstructive Surgery meetings including those hosted by the American Society of Plastic Surgeons (ASPS), the American College of Surgeons (ACS), the American Society of Laser Medicine and Surgery (ASLMS, and the American Society of Reconstructive Microsurgery (ASRM). Dr. McDonald has a strong commitment to teaching and community service. Not only has he received teaching awards for Plastic Surgery including the 2010 Resident Teaching Award at The Mt. Sinai School of Medicine Division of Plastic Surgery in New York City, but he has traveled to Columbia, South America, and led mission teams to Gaza, Palestine for Operation Smile. Dr. McDonald has also guided groups of the University of Miami medical students to the Central Plateau of Haiti and performed reconstructive surgery on both the children and adults of that country. Dr. McDonald is an active member of the American Society of Plastic Surgeons (ASPS).